Be still my beating heart, my favourite Hamptons-living, Shaker style furniture has just been scaled down to fit my favourite people. Click through to find out which Australian company is producing such lush children’s furniture. 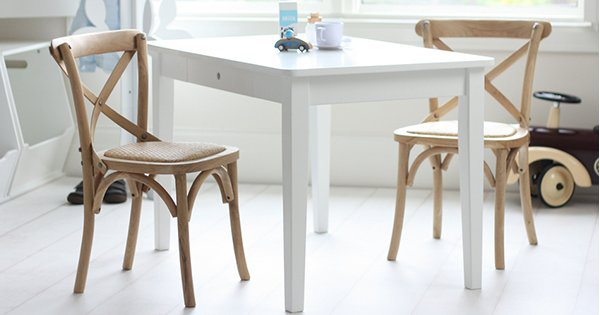 The Hip Kids Hampton Kids Table and Chair set is a sight to behold . It will most definitely be sitting pretty with your existing decor. I’m quite sure I’ll be jealous of the kids’ table, considering my dining table isn’t nearly as lovely. 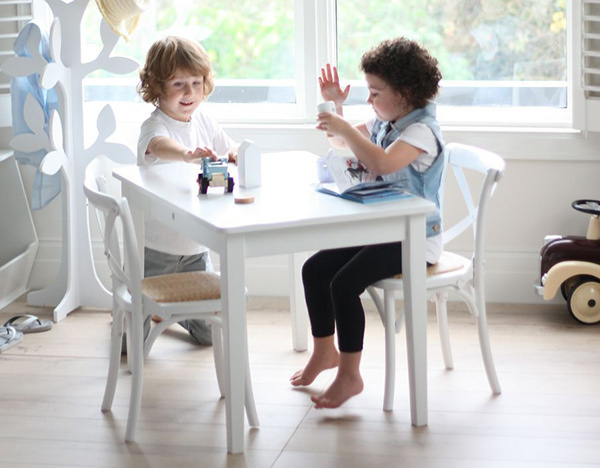 A perfect place to play, craft or dine with little buddies, Hip Kids Hampton Table and Chair set is built just the right size for children aged four to eight. Hip Kids create the Hampton Kids Table and Chair set ($239) with a large white craft table that includes two child safety drawers (they catch in place when fully opened, so can’t slip out onto toes) and two Shaker style cross back chairs in either solid oak timber with a varnished finish or the white finished birchwood timber. If you require more than two chairs, that’s no drama – Hip Kids sell the same Hampton Kids Table and Chair set with four chairs ($379) or alternatively, you can buy extra Hampton Chairs in sets of two for $169. 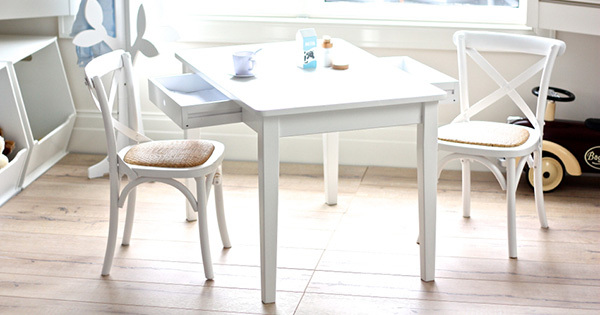 To see more of their amazing furniture and to order the Hamptons Kids Table and Chair set, head on over to Hip Kids. Delivery is available Australia wide.